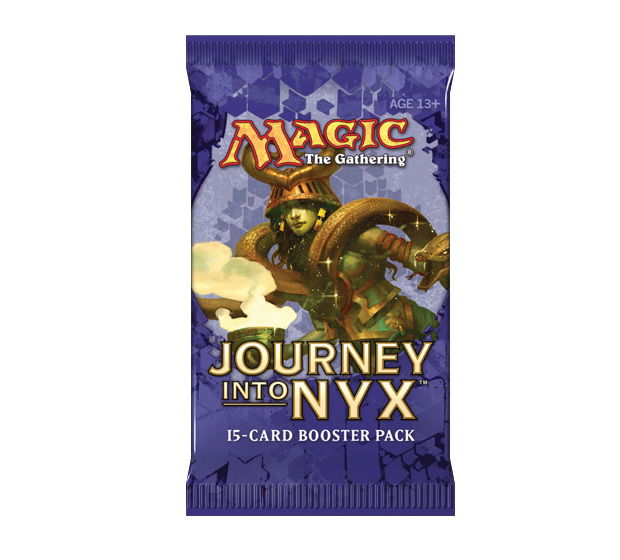 Today we are diving into all the different packaging for Journey into Nyx. 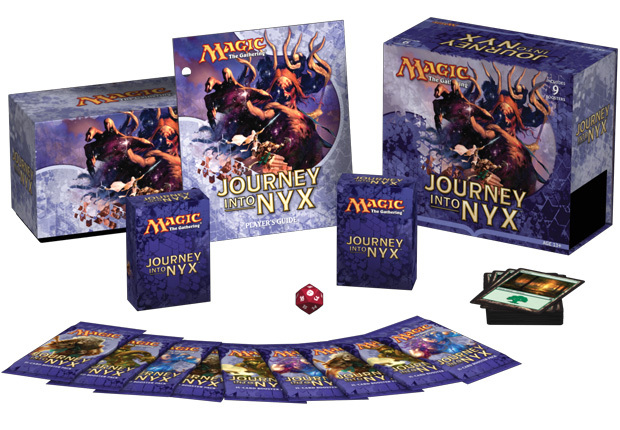 With Theros we had a green style, Born of the Gods had an orange-red hue, and with Journey we get purple. 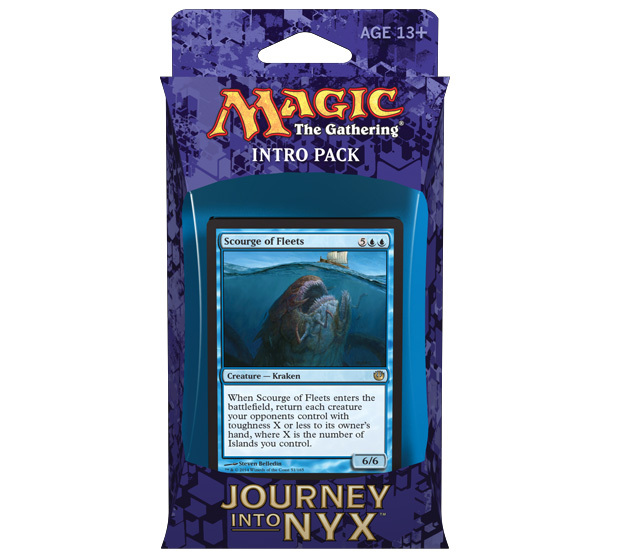 Pharika makes her appearance on a booster pack! 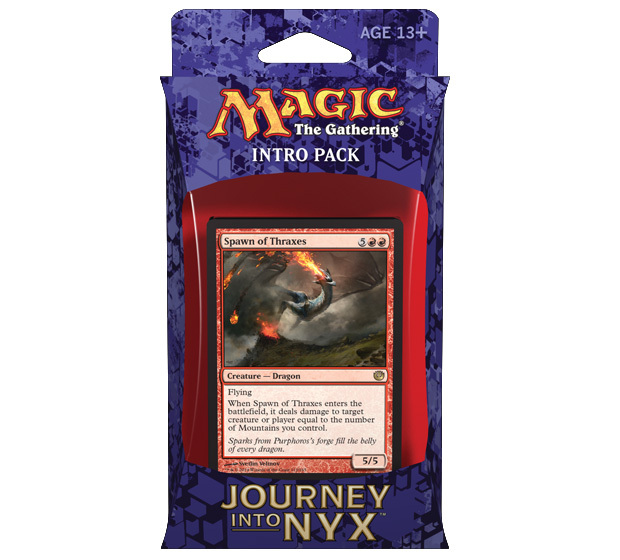 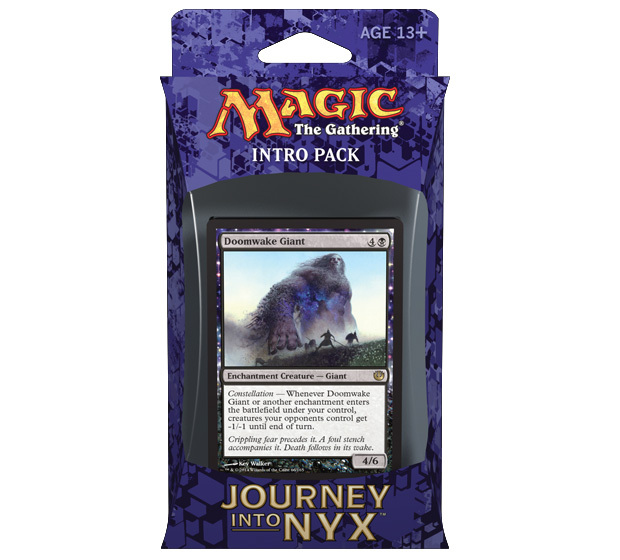 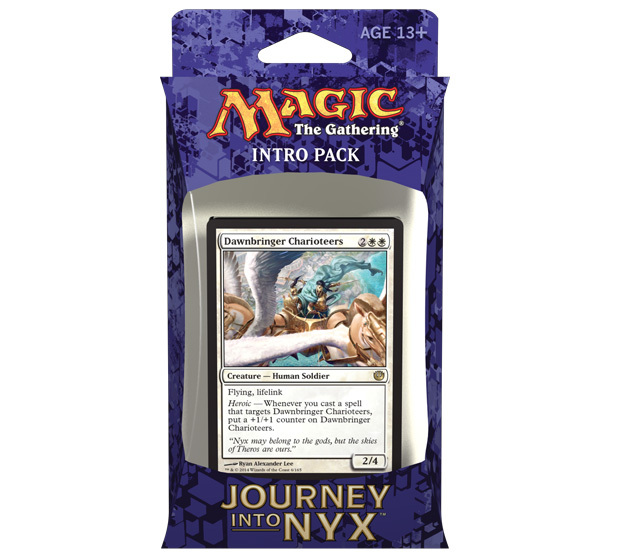 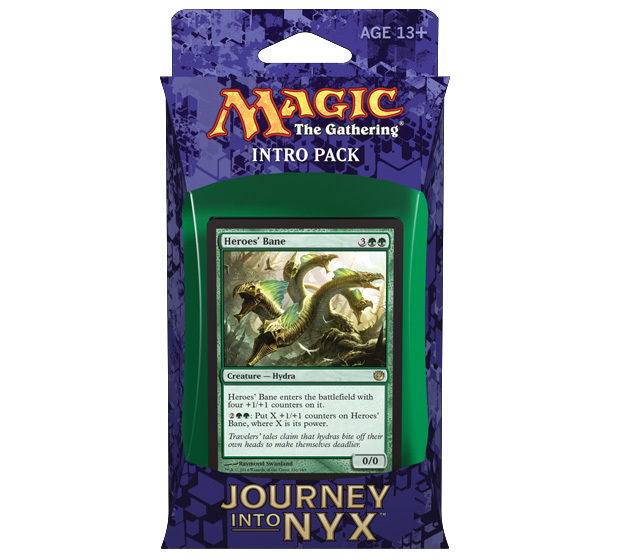 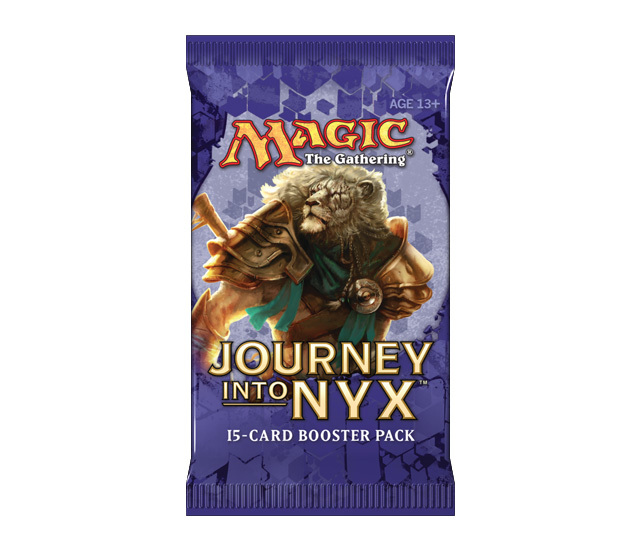 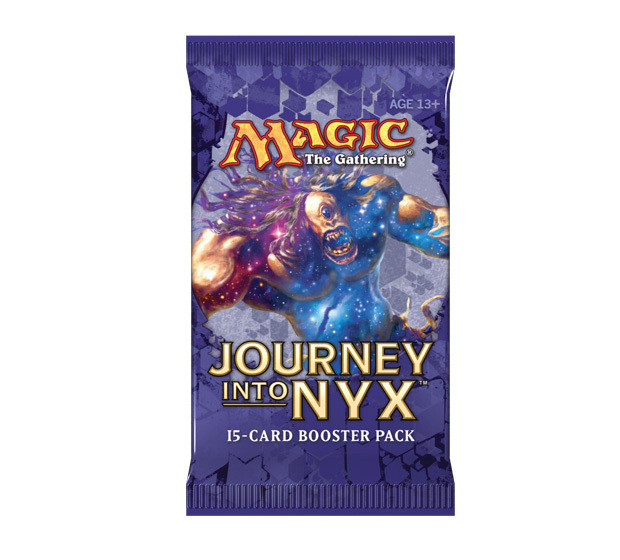 Here are the five intro packs for Journey into Nyx. 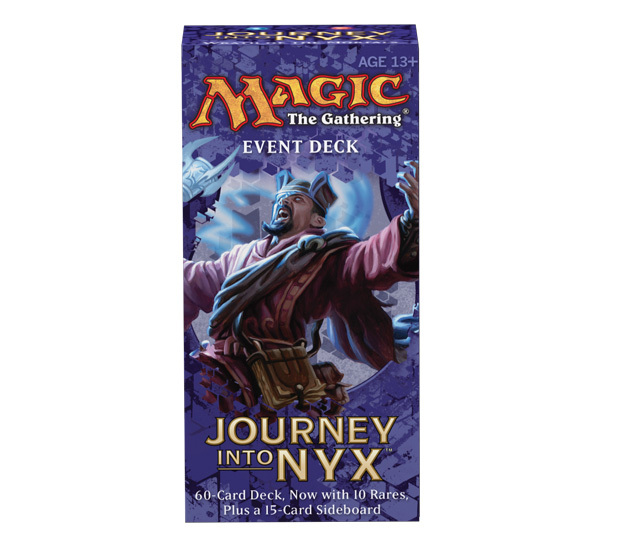 Come back on April 23, 2014, to see their complete decklists! 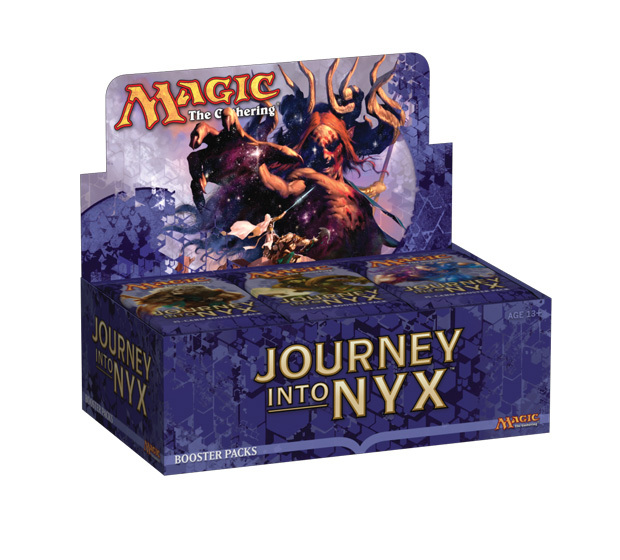 And for Journey into Nyx there is indeed an event deck, we'll share more about it on May 1, 2014.